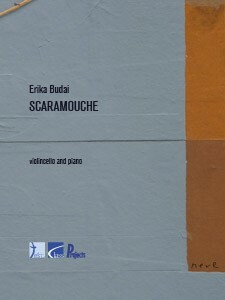 Chamber music - duo - piano/cello - full score + soloist. HARD COVER or PDF. Also available from this suite: Pierrot and Pulcinella. "Pantomimes" is a suite for violoncello, commissioned in 2001 to Erika Budai by cellist Luc Tooten and pianist Stéphane De May. The five parts of the suite are composed as miniatures, inspired by the well known 16th century characters of the Italian theater "Comedia dell’arte": 1. 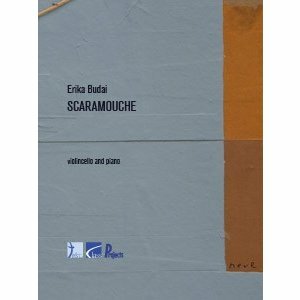 Scaramouche, 2. Pierrot, 3. Harlequin, 4. Colombine and 5. Pulcinella. (Now available: 1-2-5).